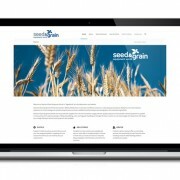 Welcome to the Seed and Grain Equipment World (Sage World) web site. Although we are still under construction, we wanted you to see our new look. Additionally, we will begin to post our up-to-date news and products on the site which will keep you informed about upcoming events and offerings. Thanks for visiting and come again!